The man died in hospital. A man detained for theft died in a Kyiv hospital, a police source told LB.ua on 26 January. 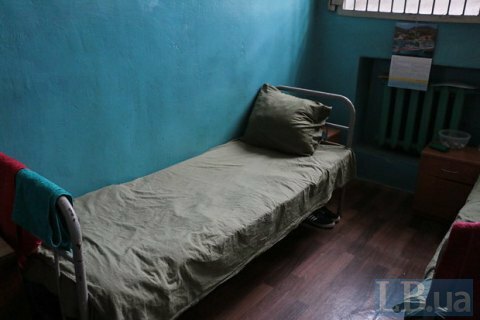 "On 20 January, a 31-year old resident of Prylutske, Volyn Region was found unconscious in a remand centre of the State Penitentiary Service in Kyiv's Shevchenkivskyy district. The jobless man was detained for theft," the source said. The man with bodily injuries was rushed to a hospital, where he died on 25 January. Police opened a criminal case on charges of intentional infliction of grievous bodily harm, which were later changed to intentional grievous bodily harm resulting in the death of a victim. Later on 26 January, the Kyiv police said they found no traces of the incident in the cell. Five people, who were kept in the cell together with the victim, did not provide any useful information. Last year, 15 inmates reportedly died in Kyiv's Lukyanivska jail.